Hello hello! Can you believe that this is the last Monday in September? What’s that about? Has the earth moved slightly closer to the sun and thus made the seasons go by a little faster? Seriously! ARGH! October! Nope. Gone. We probably played Warcraft until the wee hours of the night. That’s OK, my lack of remembering brings us to Saturday faster. Saturday morning of course we did the standard Warcrafting gig in which we did Warcrafty things. The usual. I don’t think we did anything of note other than I think I got the Beer of the Month Club on Tan. We might have taken the lowbies out for a spin or something. Exciting no? At least we weren’t grinding for golds! Talk about play mirroring work. Yuck! After doing whatever it was that we did (but at home on the computer you nosey Law&Order guys) TheMan and I headed out to Haabs for a half off chicken dinner basket. We got coupons a while back for such a thing and the coupons expired at the end of September so we decided to try them out. I may have been to Haabs way, way, way back in the day (middle school?) but I rightly don’t remember. TheMan had never been and we had coupons so golden! Haabs reminds me a little of Zender’s in Frankenmuth except less German. Same sort of meals though, kind of American German as it were. TheMan said that the restaurant reminded him of his Grandfather’s place in Belleview but only because W-Joy was playing on the radio. Easy listening at its easiest, W-Joy; W-J-O-I. Great, now The Girl from Ipanema is running through my head. Anyway, other than having fabulous chicken (YUM-NOMNOM) Haabs is apparently the place to go after the game. Which there was one the day we went. Huh. I expect Michigan played somebody or whatever. Wisconsin? Was that this weekend? My finger on the pulse of the sporting world, yessiree. Your little bit of “How do we find a place to eat with less than an hour wait after a home game” trivia. You go to Haabs, that’s what! Get the shoestring potatoes while you’re at it, they too were fab! We probably played more Warcraft or whatever afterwards. Sunday we…well, I guess we played some morning Warcraft and then went out to a business meeting (TheMan) and shopping (me). I got a wrocking deal on bell peppers (10/$10!!!) and some candy for the work candy jar. I also managed to find crab legs this time around AND bagged fish (which I could not, for the life of me, find in three separate stores and now bamn! Three different kinds of bagged fish even) so I snapped both up. No plans yet for the fish but the crab’s gonna go into the crab meat stuffed shells recipe I found. Yum-may. I hope. Neither of us were feeling tip top (I think something was slightly off at the coffee shop and we were laid a bit low from that) so when we got home, TheMan went off to quietly read for a bit. 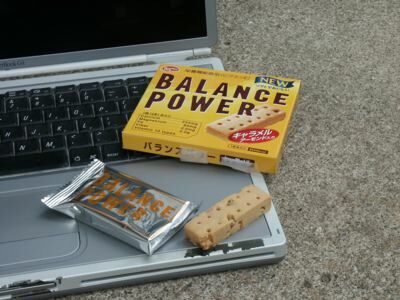 I headed carefully out with the computer and Japanese snacks and had a little photo shoot on my porch. The neighbors must think we’re nuts but natural light is taking the best JSFR pics these days so every once and a while I head out with a fistful of snacks, the computer and the camera and try to get caught up. I think I wrote up two of the four snacks I photographed. Yay! First weekend of September caught up over at the review. After a bit of relaxing, TheMan and I were well enough to partake of his awesome stuffed peppers. The problem with buying a millionty of something is that you then have to figure out what to do with that many things once you get them home. I decided that the stuffed shells were going to also have some lovely colored peppers in them but you can only stuff so many of peppers into a crab meat stuffed shells recipe. You can only make so many of them into stuffed peppers as well so I might have to start getting creative. Can you make a pepper soup? I should Google me a recipe…that might be kinda tasty. Two loads of laundry and most likely more Warcrafting rounded out the evening. The end! 2005: I’m eating and not posting! 2004: It’s really good food. 2003: I have to chair a meeting today that I don’t particularly want to chair and the rest of the people don’t particularly want to be at so I got the giant pack of Tim Bits to bribe them. This entry was posted on Monday, September 29th, 2008 at 10:00 pm	and is filed under . You can follow any responses to this entry through the RSS 2.0 feed. You can leave a response, or trackback from your own site.